The way in which businesses engage with customers has fundamentally changed - customers can now interact with brands from multiple touchpoints (Web, mobile, social, retail stores, kiosks); however, they cite cross-channel inconsistency as their #1 complaint. 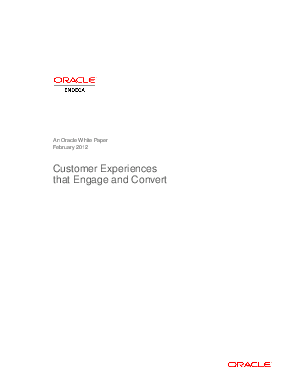 Delivering a consistent experience is the new challenge. A 2010 Forrester Research survey found that retailers who had focused on multichannel integration experienced an average 48 percent increase in online sales and 36 percent increase in customer satisfaction, as well as a 28 percent reduction in operating costs and a 25 percent increase in profitability. But although 50 percent of the companies from the same survey say they support a vision for multichannel consistency, only 39 percent believe they have the ability to implement that vision. This whitepaper looks at what steps need to be taken to achieve this transformation.